The original Instructions are in good condition, the box is in an OK condition but there are rub marks on the edges of the box (see Photograph). 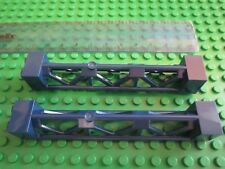 Lego Technic Rough Terrain Crane 42082 Model has been adult owned and built. No damaged or chewed parts, no crooked or missing decals. No wear on any parts. Every piece originally included with this set is included in the sale, the extra pieces are included as shown. Please let me know if you have any questions. Item is from a smoke and pet free home. Collection is welcome Item will be disassembled. Bagged up by colour and packaged carefully. Please let me know if you do not want the box, as is it will be easier to package if you don't! I will post fully insured. Payment within 48hrs of auction end please. We've built the Mini Forklift and as you can see in the photos. A. We've checked for all parts during the build of this fantastic LEGO set. All parts are included. All parts are present and correct, and will make a great addition to any collection. The original Instructions are in good condition, the box is ok condition has wear marks and tape marks (see Photograph). Lego Technic 8862 Backhoe Loader Boxed Complete. Condition is Used. The box and instructions show signs of usage. The lego construction itself is complete and in great condition (I've just completed it to make sure all is in order and it is). Box does not include plastic tray and does show signs of wear and tear. Dispatched with Royal Mail 1st Class. Never been opened althouth the box is a bit creased/dented as seen in images. Lego Technic Heavy Duty Forklift (42079). Condition is Used. 1st time build. 100% complete with all spares. Will be sold in plastic box shown. No original box. Dispatched with Royal Mail 1st Class. LEGO Technic Forest Machine 42080. -Factory NEW condition-. Set is complete, used. I did not use stickers, but I have stickers sheet and building instructions. I do not have box. Model No: 42007. Lego Technic 2 models in 1 motorbike construction set. Suitable for age 9 -16. LEGO Technic Hydroplane Racer 42045 - New unopened in box . Condition is New. Dispatched with Royal Mail 2nd Class. LEGO TECHNIC 42080 FOREST MACHINE. See photos for what you get. All pieces available for the main build. Good condition. Lego Technic Rough Terrain Crane (42082). Condition is Used. Dispatched with Royal Mail 1st Class. Can be sold complete (current) or de constructed (may delay delivery due to deconstruction) comes with original box and manuals. Includes the first pull-back motor ever featured in a LEGO Technic building set. A great introduction to LEGO Technic building. Combine with the 42011 Race Car for a super-fast Dragster with pull-back motor, adjustable rear wing and opening cockpit. 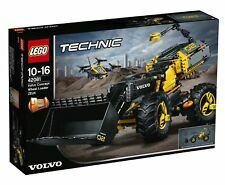 Lego Technic Forest Machine (42080) new. Condition is New. 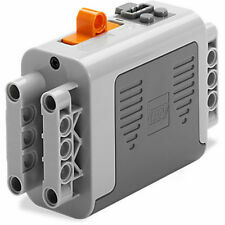 Lego Technic Construction Sets & battery power. Condition is Used. Dispatched with Royal Mail 2nd Class. Retro collection of lego Technic Construction kits. Includes number 8720, 8808 & 8032. The parts for 8032 & 8808 are all together in one box, although both boxes are included. Manuals are also included, one has been ripped at the front but has been taped back together so can still read. Wear to boxes from storage but still in pretty good condition considering they mustve been bought around 20ish yrs ago! Can build various cars, helicopter, various robots. And using the battery control some can be powered up. Come from a clean smoke free home. Any questions please ask. LEGO 42049. A MUST HAVE FOR FANS OF LEGO TECHNIC. MINE LOADER. Buying x1 of Lego 42080. We are unable to provide product support as we have limited knowledge, it is best to consult with the manufacturer or use the internet. Lego joblot mixed technic spares. New pieces been taken from sets, only been handled for sorting. BABY & NURSERY. This authentic replica model features articulated steering, rugged suspension and silver-coloured rims with chunky tyres. Then lift the included tree trunks and rotate the driver's cab to move them through more than 180°. Lego Technic 8265 Front Loader plus Power Functions. Here for sale is the fantastic Lego Technic 8265 Front Loader which has now been discontinued by Lego and is subsequently in huge demand. The lego will be dismantled ready for the next builder. Lego Technic 42023 Construction Crew. Here for sale is the fantastic Lego Technic 42023 Construction Crew which has now been discontinued by Lego and is subsequently in huge demand. These are amazing models that will be a real test of your building skills and your imagination. Condition is New. It's a genuine Lego. Bought from Amazon, but it's too big for my children. LEGO TECHNIC 42082 ROUGH TERRAIN CRANE. Item #: 42079 Ages: 9-16 Pieces: 592. Rebuild it to create a powerful Tow Truck for a double build-and-play experience. 2-in-1 LEGO Technic Set: rebuilds into a Tow Truck. Experience the power and versatility of a Heavy Duty Forklift! 42082 LEGO Technic Rough Terrain Crane 2-In-1 Set 4057 Pieces Age 11+ New 2018!